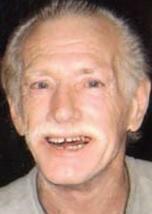 WATERLOO - Henry C. Beenken, 67, of Waterloo, died Tuesday, July 29, 2014, at Ravenwood Nursing and Rehab Center. He was born Feb. 1, 1947, in Hampton, son of Henry J. and Maria Giordano Beenken. Henry graduated from River Hills School in Cedar Falls. He worked in a variety of jobs, including Goodwill Industries, custodial work and owning a shoe repair shop. Survived by a brother, Alvin (Martha) of Cedar Falls; two nephews; and four nieces. Preceded in death by his parents; and a sister, Rosalie Schull. Services: 11 a.m. Monday at Kearns Funeral Service Kimball Chapel, Waterloo, with burial in Oak Hill Cemetery in Parkersburg. Visitation will be from 10 a.m. until services Monday at the funeral home.